A good tool watch is versatile. That’s why we added drilled lugs to the Humboldt case so you can easily switch to the right strap for the job. Use the strap changing tool included with your watch, a paper clip, or even a sewing needle. Yup, it’s that easy. Easily keep track of a second time zone, elapsed time, or count down minutes with a quick twist of the bi-directional 12-hour external bezel. 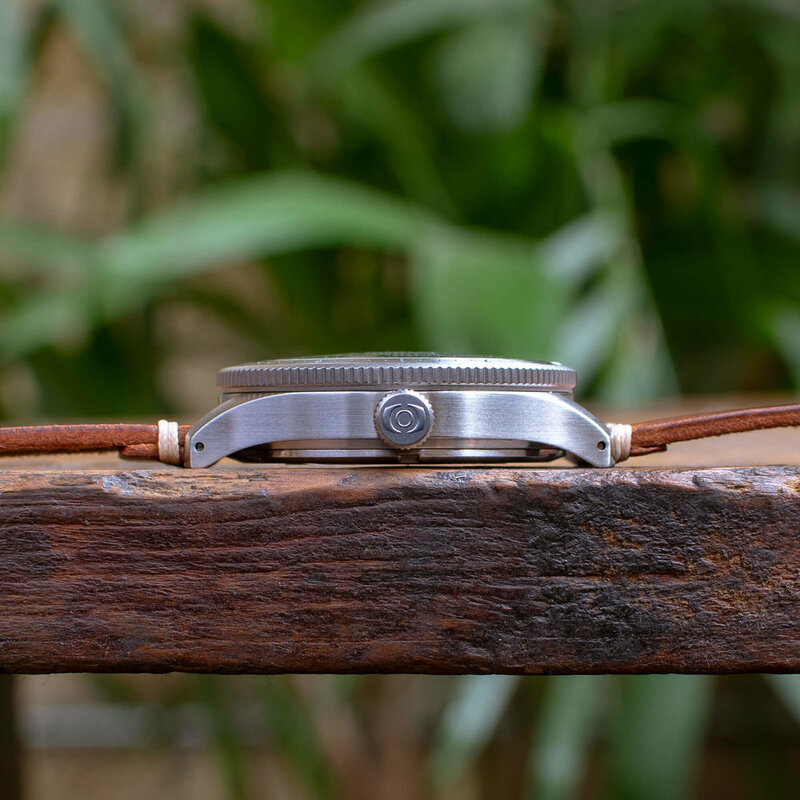 One of the most useful bezel designs out there and the perfect tool for everyday life. Go get wet. With 20 ATM (200 meters, 656 feet) of water resistance, screw down crown, and multiple rubber gaskets you’re good to go underwater deeper than you’ll ever want to go. Seriously though, did you know that 200 meters is the depth limit for underwater plants to absorb nutrients from light? Yeah, you’re covered. 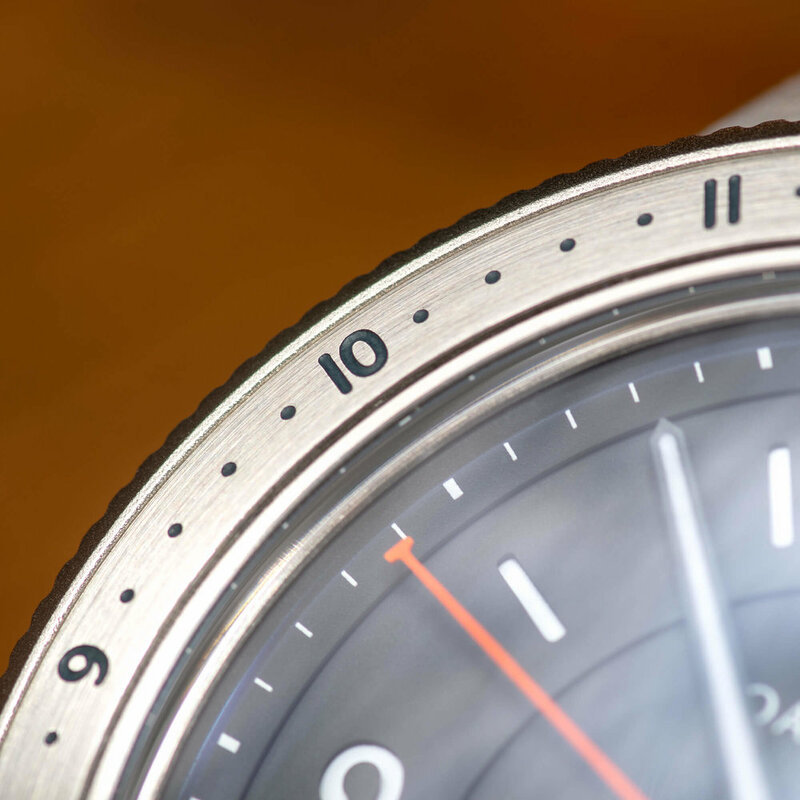 The design of our two-layer sandwich dial creates an iconic architecture that is built for legibility. With the high contrast of a dark dial color and the bright luminous material on the exposed bottom layer you’ll be sure to know the time wherever you go. After 18 months of research, prototyping, and testing we’re proud to introduce the first Oak & Oscar bracelet. Our stainless steel bracelet sits comfortably on the wrist with a fully articulated link design that gradually tapers from the 20mm solid end links to the 16mm buckle. Ready to tackle the elements, the Oak & Oscar bracelet is built for comfort and durability. The engine powering the Humboldt is the legendary, Swiss-made, ETA 2892A2, a workhorse calibre with 21 jewels, a substantial 42-hour power reserve, and the iconic Oak & Oscar 4-star rotor design. Founded in 1856, ETA has over 150 years of experience crafting some of the most accurate and reliable movements in the world. They're expensive, wasteful and end up in a closet. And the World definitely doesn't need another one. Your Oak & Oscar timepiece comes in a thoughtfully designed watch wallet to keep your timepiece protected wherever life takes you. With two gusseted suede watch pockets, a zippered closure, and an efficient footprint, the waxed canvas watch wallet is ideal for quick trips or long hauls where saving space and weight are essential. The rugged packaging is crafted to withstand the elements of daily life. A water repellent waxed canvas shell with Horween leather accents protect your watch from the elements while the soft Tasman suede and felt interior provide a secure place to put your most important cargo.